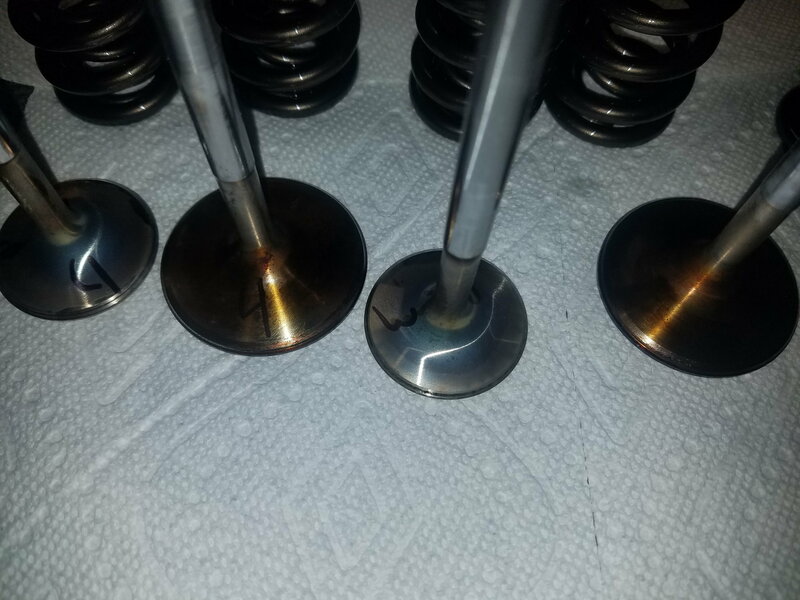 What valve guide clearance are you guys running for boosted combos on high hp marine builds? 11/32"
Had some issues with my turboed street car and was wondering if the clearance was too tight for my application. Last edited by underpsi68; 04-12-2019 at 05:43 PM. .0018 int .0020/.0022 exh. Double check that. .0012 intake and just under .002 on exhaust and I won't use oil seals on the exhaust just to help lube guides. Who's valve are you using? I'm assuming aluminum heads bronze guides. I have also heard some run the seal without the spring to allow for better lubrication. Yes no springs and the older seals teflon we would ream them. How is the finish on the stems? And what valve where sticking? Not sure on the finish. I attached a few pictures from when I just disassembled. 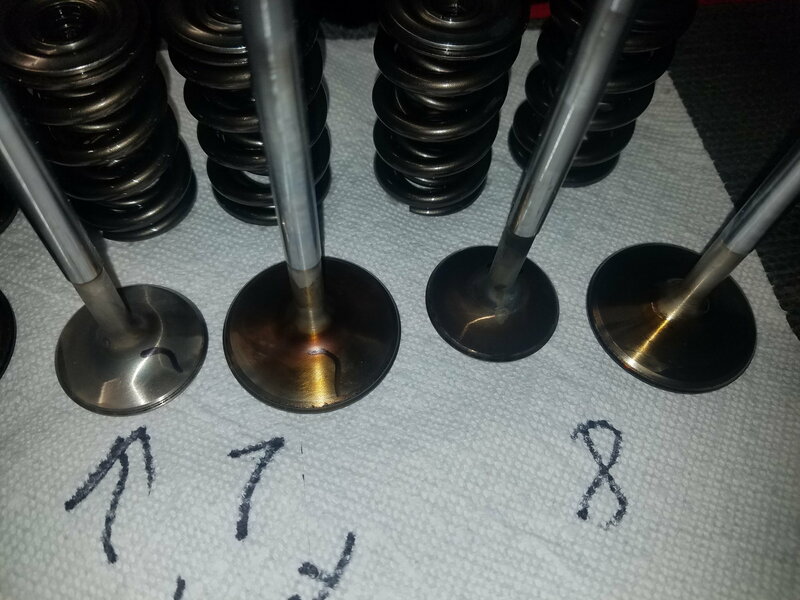 6&7 exhaust valves were very tight in guide when I disassembled. On a sbf those are the center cylinders on the left bank. 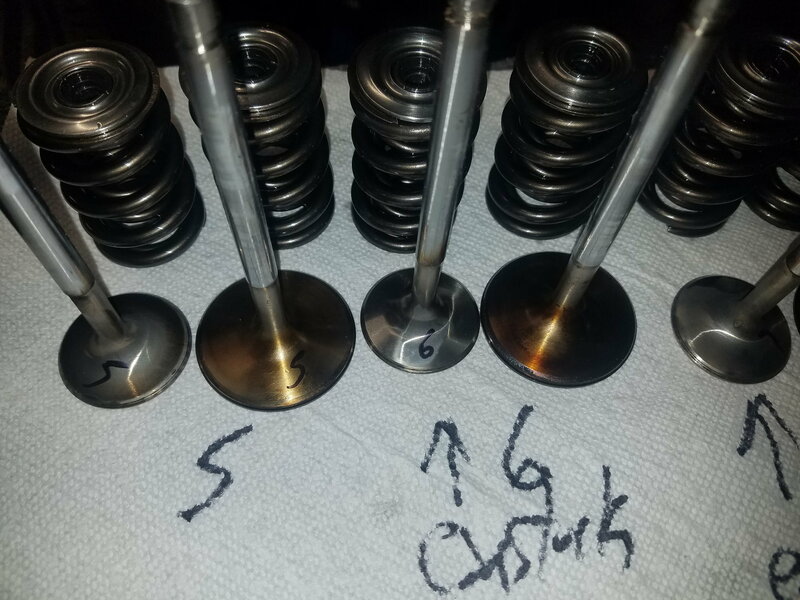 who's cylinder heads?may have cheap guides in there.may have to switch them out for the higher end guides or your gonna have to loosen them up a bit more.